Please contact us if you have any questions or would like to get more involved. We would love to hear from you! You can nominate anyone, or yourself. All South African Young Water Professionals’ (YWP-ZA) in Limpopo Province are invited for the provincial committee elections 2017-2018. The Young Water Professionals programme offers practical and effective ways for those interested in a career in the water sector to follow their interests and gain experience by presenting opportunities for career development at workshops, technical events, and online initiatives. These activities provide opportunities to develop skills and expand a network of emerging and established professionals. Members can present their work in a peer to peer learning environment at conferences and forums and can take advantage of a suit of initiatives that support the development of the future workforce in the water sector. 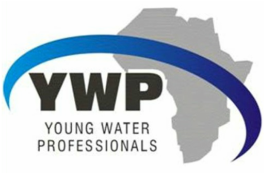 Overall, the aim of the YWP programme is to fulfil the present and future needs of the water and wastewater industries in Southern Africa, an aim which requires the continues development of a workforce which is adequate in size, capable in skills and strong in leadership.